Farmington, NY (March 25, 2019) – A serious two-vehicle collision that resulted in the injuries of eight people was reported to have happened around 7:00 p.m. on Sunday night, March 24th, according to police. The crash took place at the intersection of Route 96 and Route 332. Police stated that a southbound vehicle traveling along Route 332 attempted to turn left without yielding and subsequently struck a northbound vehicle on the same road. Emergency medical crews were immediately at the scene where they attended to eight injured parties. The southbound driver identified as 59-year-old Eileen Taylor, of Springfield, PA, was transported to FF Thompson to be treated while the northbound driver, Phone Dumas, 46, of West Henrietta, was transported to Strong Memorial Hospital. Mercy Flight was called to the scene where they transported one passenger from the northbound vehicle, identified as Phoneouthith Homniyom, of Rochester, to Strong Memorial Hospital. An additional five passengers who were in the northbound vehicle were also taken to Strong Memorial Hospital for treatment. Juatip Pimparat, 30, of West Henrietta, Justin Homniyom, 17, of Rochester, Malatip Homniyom, 13, of Rochester, Leila Dumas, 12, of West Henrietta, and Niran Dumas, 7, of West Henrietta, were all reported to have suffered various injuries. The conditions of all victims have not been stated at this time. Our sympathies are wholeheartedly extended to all eight injured parties, as we maintain our highest hopes for their full recoveries. 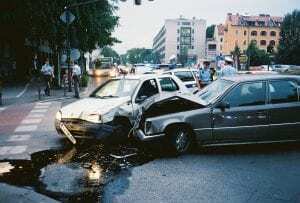 Unfortunately, car accidents in New York are often fatal or seriously injurious, especially those which occur at intersections and involve several parties. While it can be difficult, it is important for victims to know that they may have very substantial rights moving forward. At Hach & Rose, we know that there is nearly nothing as difficult as dealing with a sudden injury, particularly when children are involved. As members of the community, our New York accident attorneys are here for you 24/7 to answer any questions you may have. If you have sustained injuries in a New York car accident due to no fault of your own, please don’t hesitate to call 212-779-0057 today.